Mac OS X is one of the best operating system in with world with lots of cool features 🙂 In this post I would like to share a simple shortcut key to hide Mac OS X dock. How to Change Dock Position? How to Hide Dock in Mac OS X? 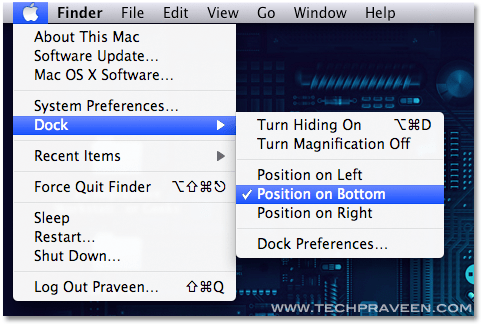 This shortcut command will allow you to quickly hide or show the Mac OS X dock. By hiding dock you can get more workspace especially when working with Adobe Photoshop. Pressing it once will hide it, pressing it for a second time will show the dock again. 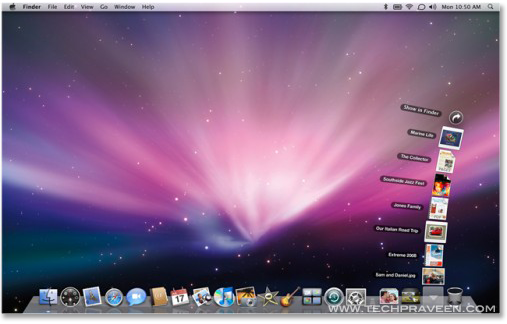 Praveen, Thanks for nice info.. could you post installation screen shot of the Mac os. Thanks dude i really need this a lot, have to keep secret lot of things.